Film and book related tourism have long provided people with a great reason to travel. Stockholm has become the latest in a great line of tourist destinations to benefit from a fan’s desire to visit the inspirational locations behind a story. Steig Larsen’s summer time hit, The Millennium trilogy, features Lisbeth Salander and Mikael Blomkvist’s adventures around the streets of the Swedish capital and the release of the Hollywood movie remake only reignites interest in visits to Stockholm. The city has not been shy on promoting its place in the Millennium Trilogy tales and the Stockholm Museum organises guided tours of the city, pointing out the places mentioned in the books and visited by the film crews. There are also a number of books and websites that have published a list of Stockholm’s tourist attractions that feature in the book and allow tourists to take their own self-guided tour of the city streets. 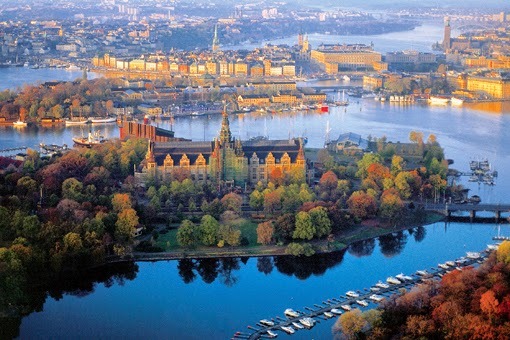 Stockholm is based on 14 linked islands, criss-crossed with bridges. The island district of Sondermalm is where Larsen lived and features prominently in his stories. Walking around Sondermalm’s streets you can pass Salander’s scruffy apartment in Lundgatan and her luxurious suite in Fiskgatan 9. Blomkvist also stays in this area in the top floor flat of Bellmansgatan 1. Sondermalm is also where the offices of Millennium can be found at Gotgatan or the Seven 11 where you can buy your own Billy Pan Pizza. If you are looking for somewhere to relax then the KaffeBar Café now called Mellaqvist’s in Hornsgatan is one of Blomkvist’s favourites, while you might catch the Evil Fingers playing in the Pub Kvarnen on Tjarhovsgatan. 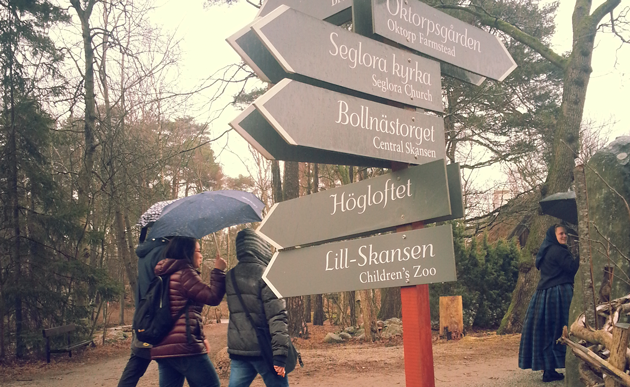 Stockholm is not a particularly rainy place, especially compared with northern Sweden. Visitors from dry climates should expect to encounter some rain throughout the year and should pack accordingly. There is a wide selection of waterproof clothing, walking boots and outdoor clothing available to order online at Cotswold Outdoors. Although whether you are a fan of Larsen’s works or not, Stockholm provides an interesting and evocative place to visit and you can understand why he based his novels here. There is plenty to see in the usual museum and gallery circuit, points of interest such as the Royal Palace with its pomp and ceremony and the beautiful Stockholm Cathedral. Events like the dazzling Christmas markets, smooth Jazz festival or the 22-hour midnight cruise around many of the islands that make up the archipelago of Stockholm make for a fun visit to this popular destination.